Property 23: Superb chalet in Val di Ledro to immerse yourself in nature. 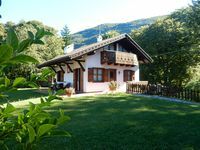 Property 40: AGRITUR VAL D'Egoi, MIRACLE NICE QUIET LOCATION IN EVERGREEN! Property 50: Holiday apartment few minutes from one of Lake Garda’s most beautiful beaches.